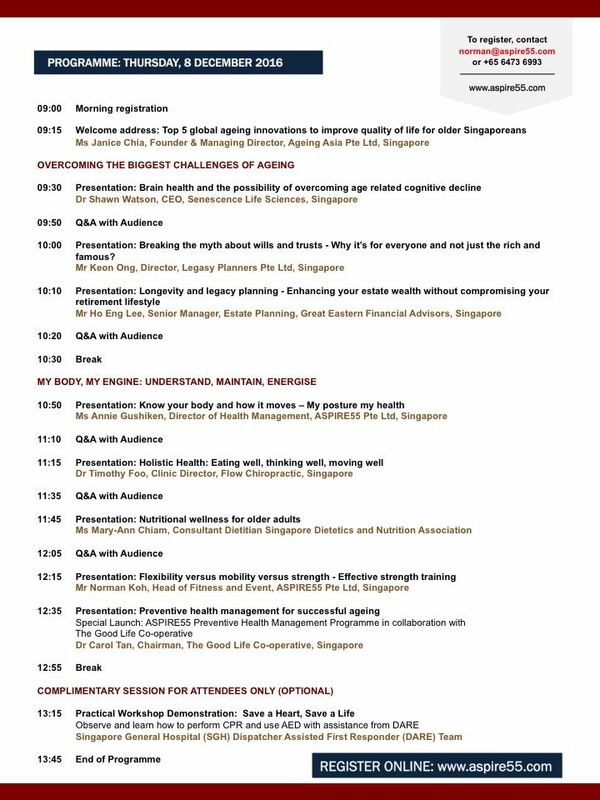 Possibility Room, Level 5, National Library Singapore, 100 Victoria St.
Register early for the December 8th Talk - Improving Health Outcomes for Successful Ageing Strategies. 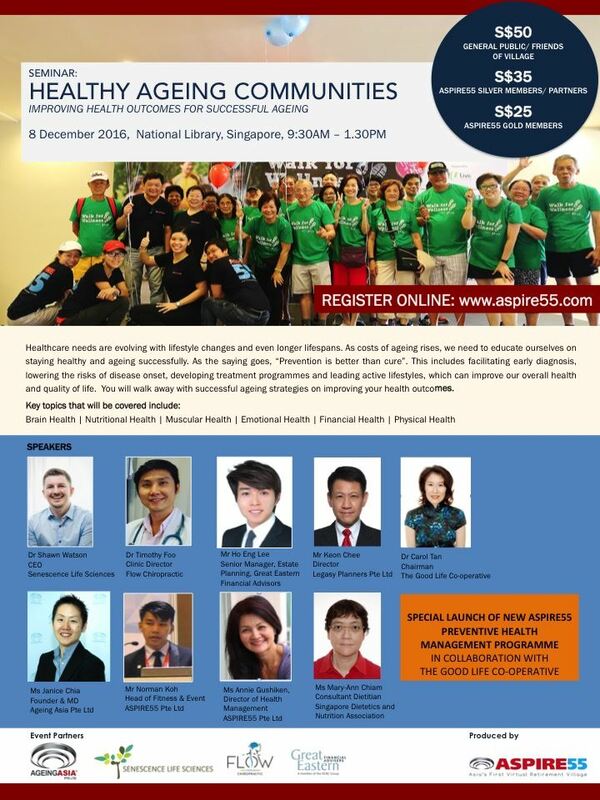 Held at the National Library of Singapore at Middle Road, Bras Basah, you will hear from expert health and wellness speakers: Dr Shawn Watson, Dr Timothy Foo, Ms Janice Chia, Mr Ho Eng Lee, Mr Keon Ong, Ms Annie Gushiken, Mr Norman Koh and more..
Healthcare needs are evolving with lifestyle changes and even longer lifespans. As costs of ageing rises, we need to educate ourselves on staying healthy and ageing successfully. As the saying goes, “Prevention is better than cure”. This includes facilitating early diagnosis, lowering the risks of disease onset, developing treatment programmes and leading active lifestyles, which can improve our overall health and quality of life. You will walk away with successful ageing strategies on improving your health outcomes. Special price for Gold and Silver members!